Our Cardiology Office - Weatherford, TX Cardiologists - Heart Center Of North Texas, P.A. This page provides you with practical information about our practice. It includes our office locations, map and driving directions to our offices and our hours. 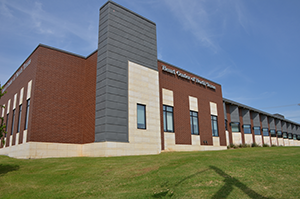 At Heart Center of North Texas you will find a patient and caring medical and administrative staff, ready to give you the high-quality patient care you expect before, during and after your visit to our office. When you have your health to think about, the process of receiving medical care can seem difficult and complex. Our staff can help you: - Understand your diagnosis and treatment options - Schedule appointments - Manage your insurance claims and referrals - Answer any questions you may have regarding your cardiovascular health and the patient care. Whether you are a current or a prospective patient, please feel free to give us a call for more information about our staff and services. Farhan Ali, M.D., M.P.H., F.A.C.C., F.S.C.A.I. George Khammar, M.D., F.A.C.C., F.S.C.A.I. Amir Malik, M.D., F.A.C.C., F.S.C.A.I.